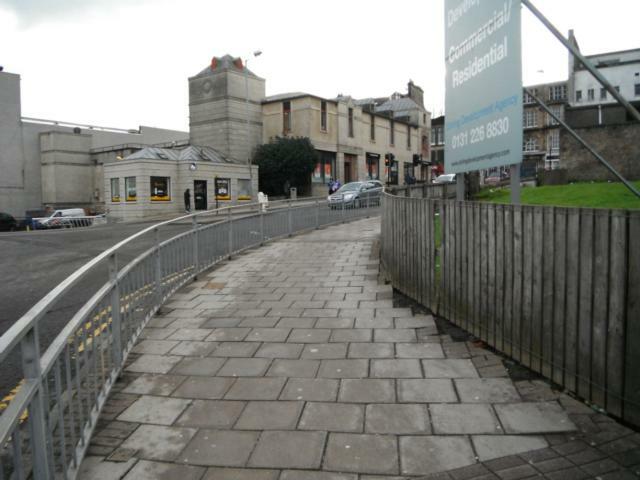 This route is designed to help people get from Stirling train station to Stirling Council Headquarters at Viewforth. The route passes through the city centre along pavements and pedestrianised areas. 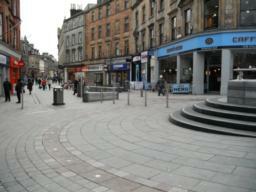 There are plenty of cafes, shops and places to sit along the way. 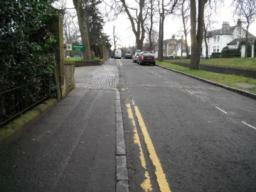 This route is best used on foot but could be cycled. 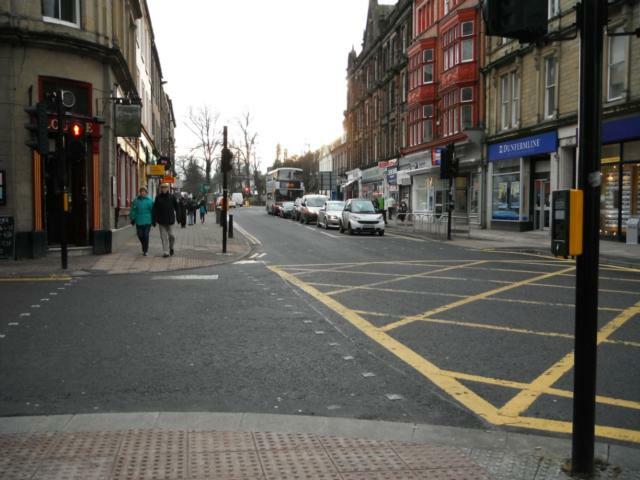 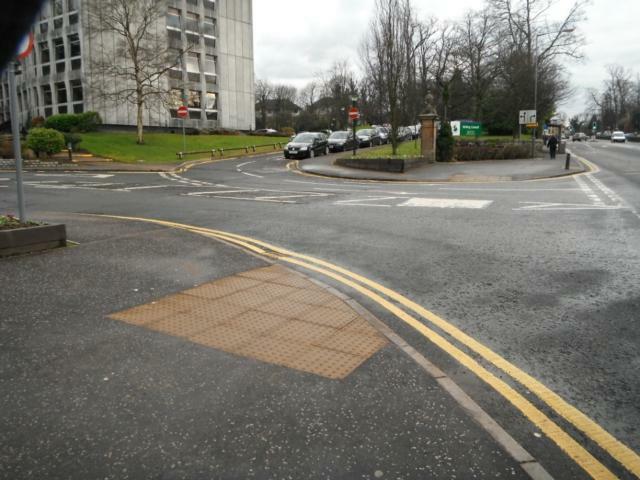 There are controlled pedestrian crossings at all road crossings with dropped kerbs and tactile paving. 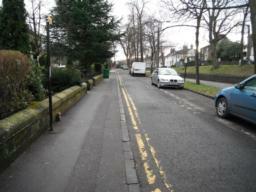 There are no obstructions and it is a gentle uphill gradient for most of the way. 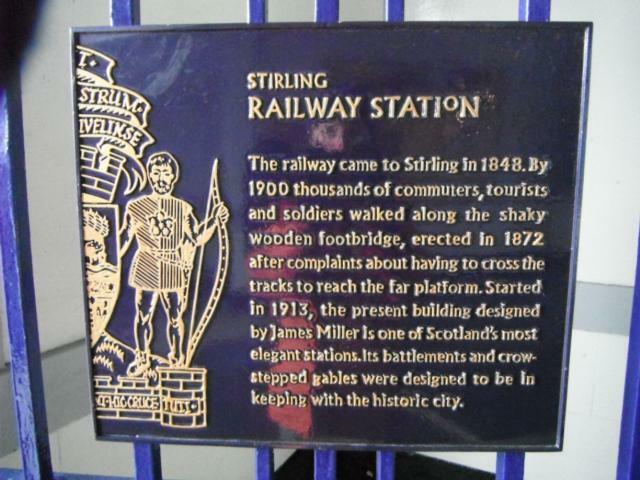 Public Transport: The route starts at Stirling train station. 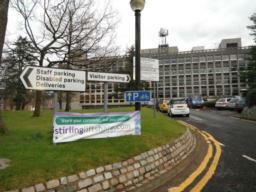 Stirling bus station is located nearby. 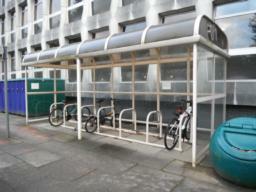 There are bus stops outside the complex. 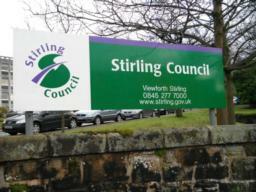 There are bus stops directly outside the Stirling Council Headquarters where buses go to and from the city centre. 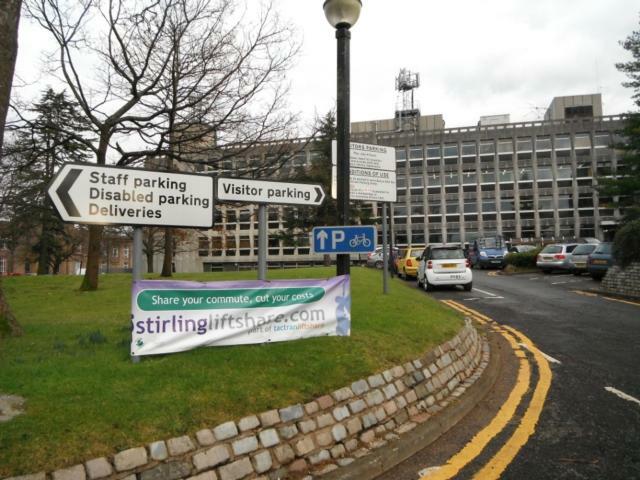 Car Park: There is a car park next to Stirling train station and there is visitor parking at Viewforth which includes disabled bays. 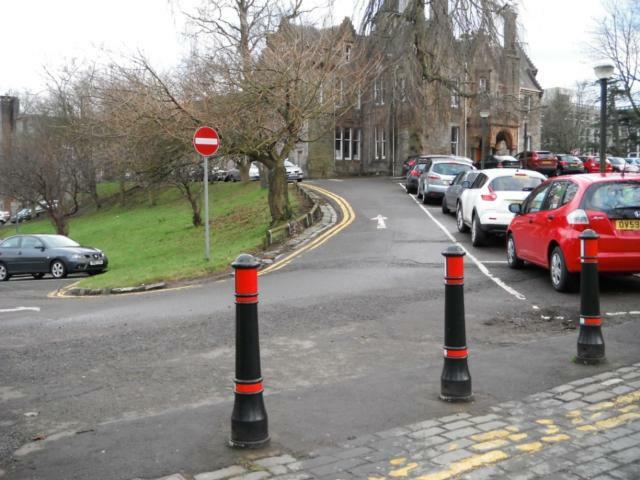 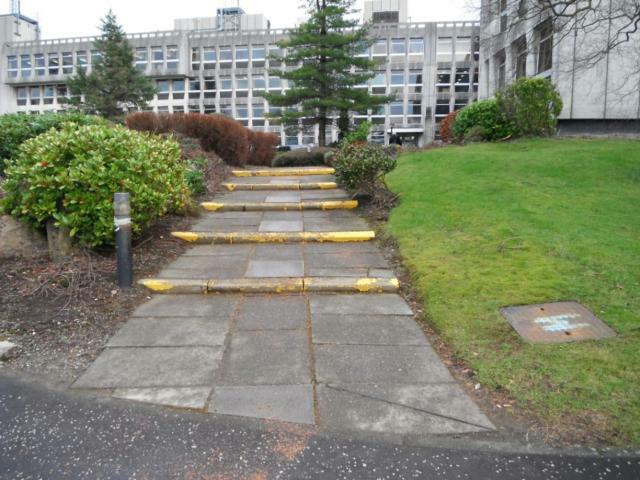 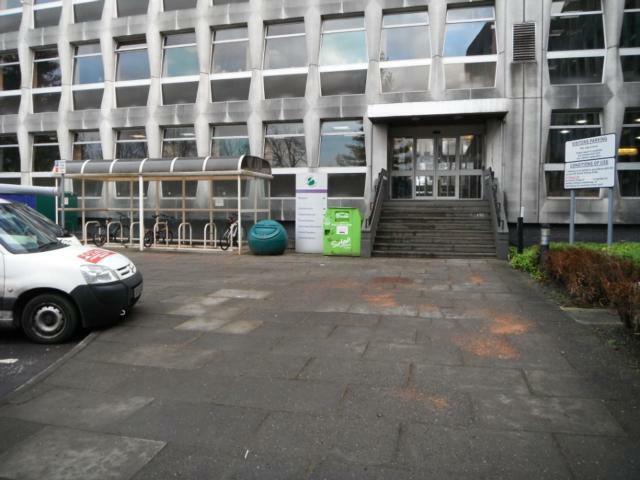 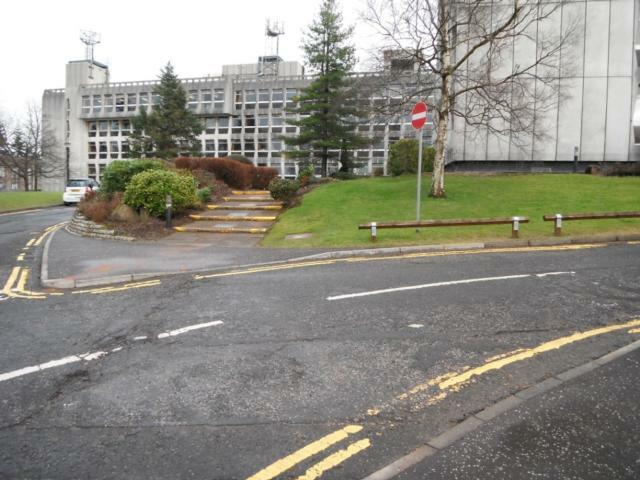 Steps: There are steps at the front entrance to Stirling Council at Viewforth but these can be avoided by using the ramped access to the rear of the building. 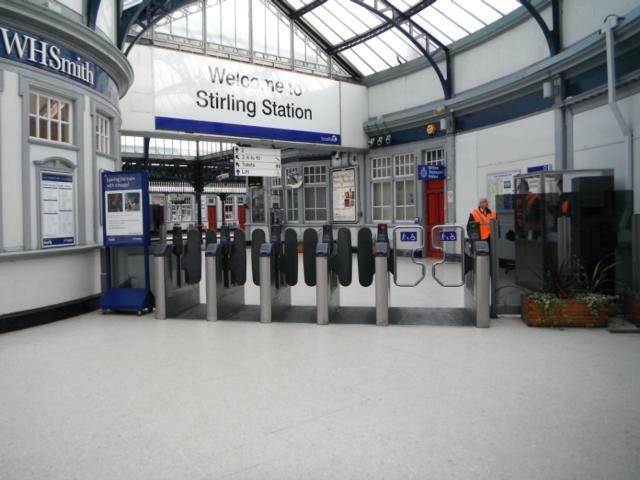 Barriers: There are ticket barriers at Stirling train station but a wide barrier is provided so access is not restricted. 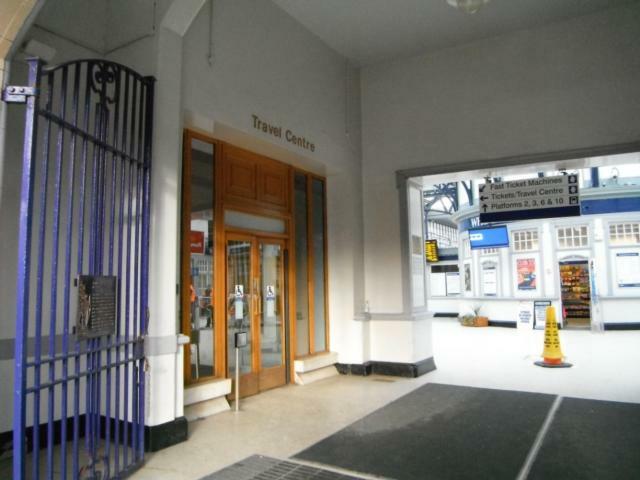 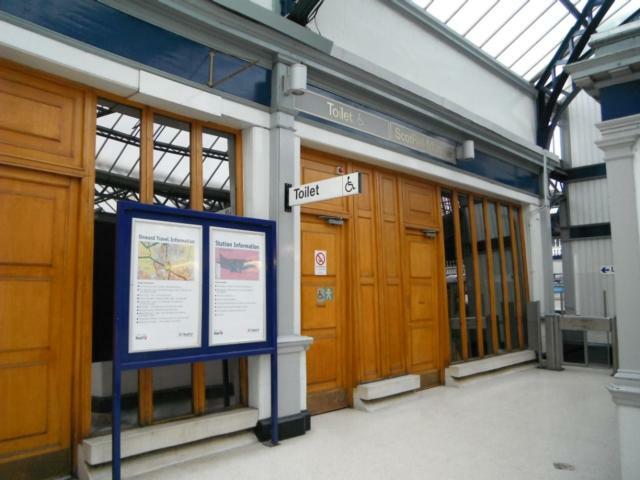 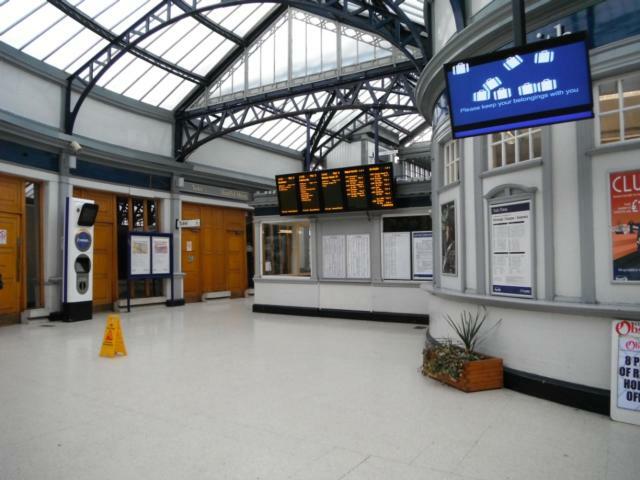 Toilets: There are toilets available in Stirling train station. There is a barrier in operation as you leave the platforms. 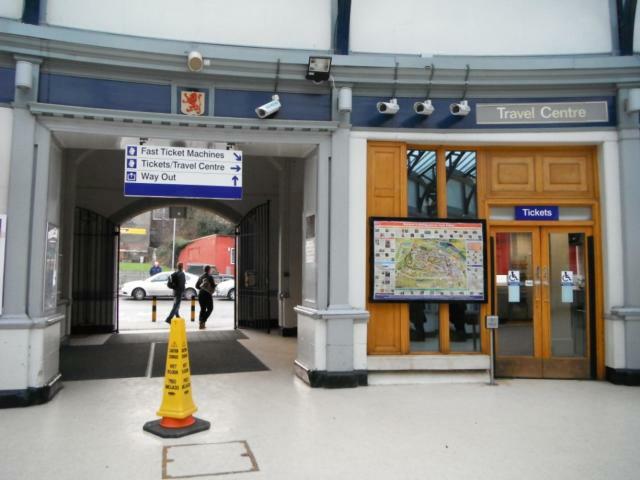 You will need your train ticket to exit. 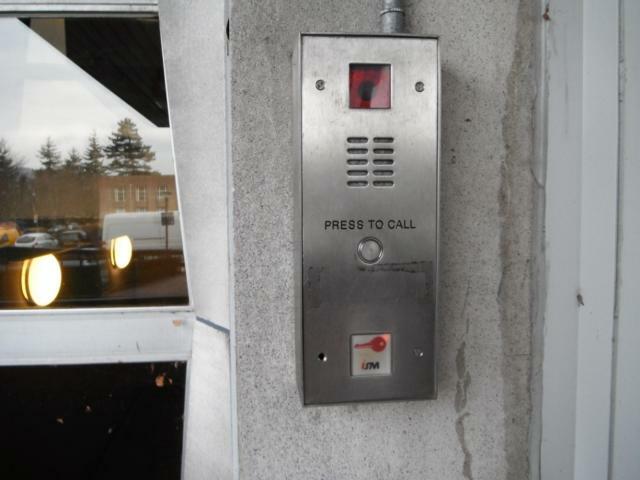 There is a wide access point if needed. 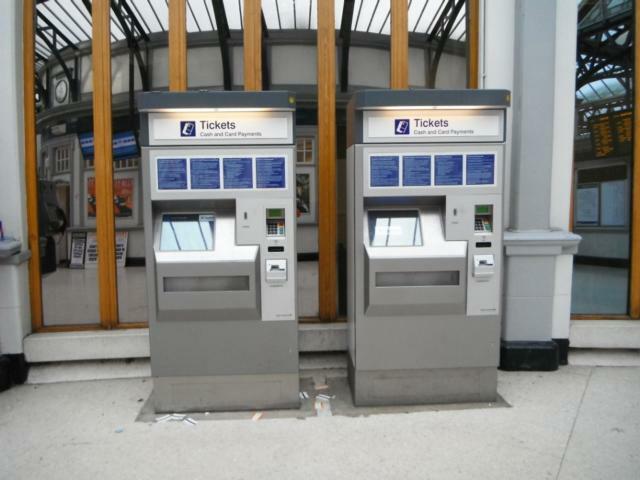 Departure and arrival boards are on the right as you exit the ticket barrier. 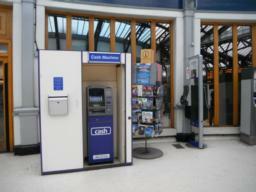 There are self serve ticket machines on the right as you exit the station. There is an information point and toilets on the right as you exit. There is an ATM on the right as you exit. 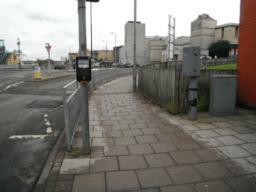 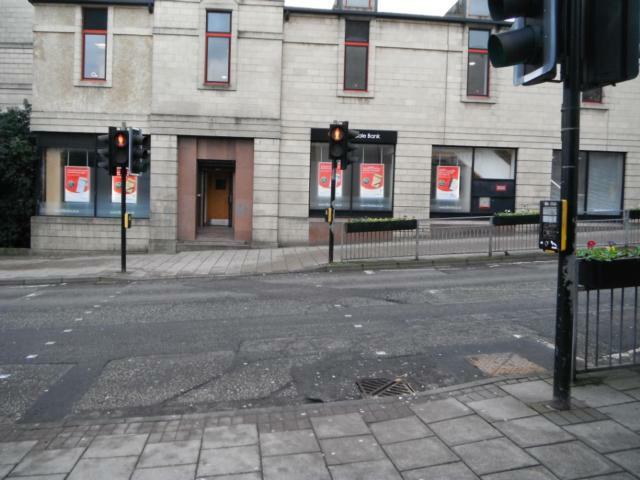 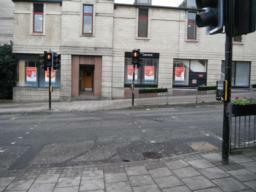 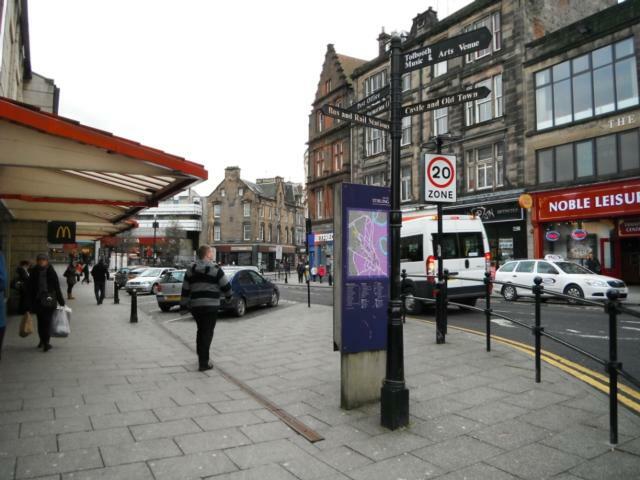 There is a map of Stirling on the right and cycle route information on the left as you exit the station. 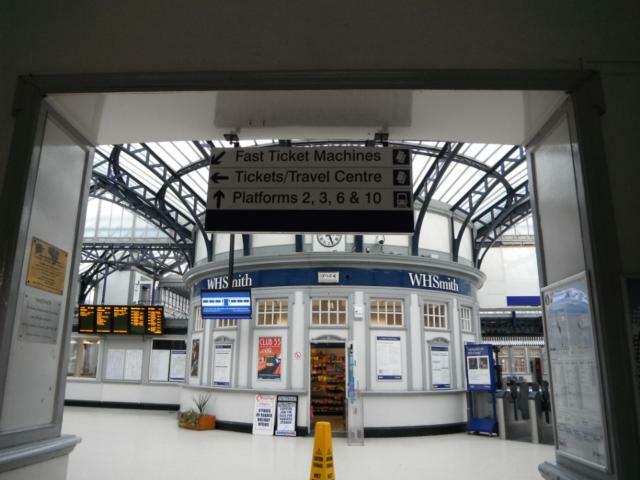 There is a WHSmiths and cafe in the train station. The exit to the station. 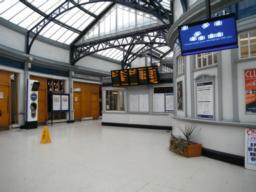 The ticket office is on the right as you exit the station. 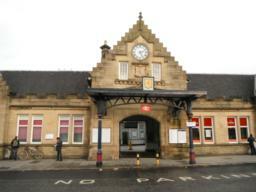 The plaque on the entrance to the station provides some history to Stirling railway station. The front of Stirling train station. There is a zebra crossing to cross the taxi rank and dropping off point outside the station. 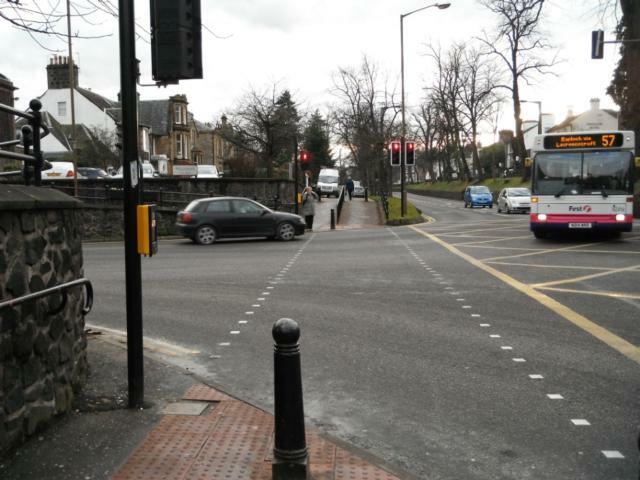 Cross at the controlled pedestrian crossing. 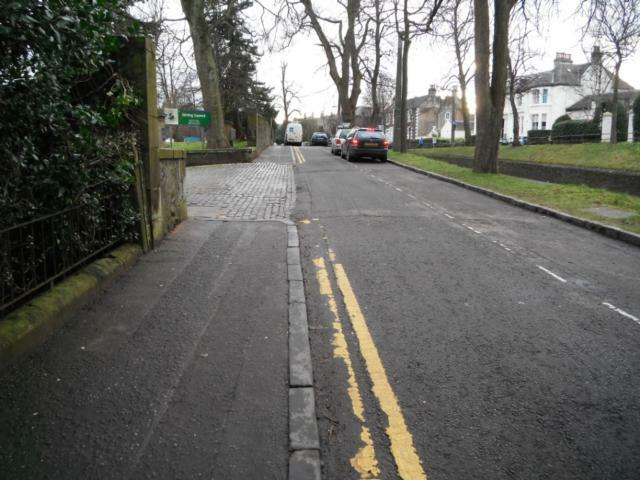 There are dropped kerbs. The pavement is wide from this point. 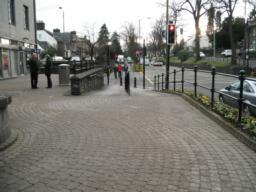 Wide pavement leading to a pedestrian crossing half way up the hill. There is a controlled pedestrain crossing with dropped kerbs. 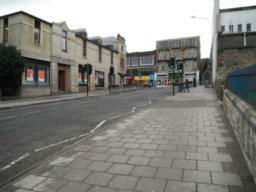 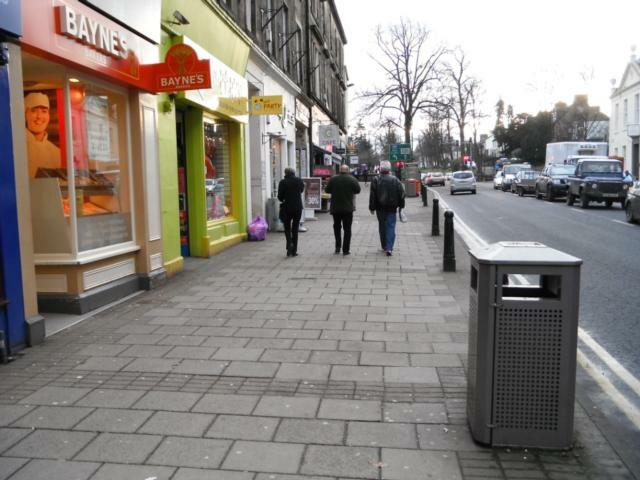 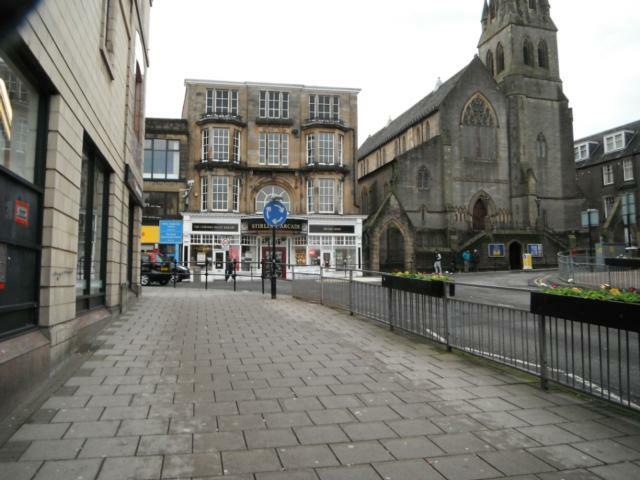 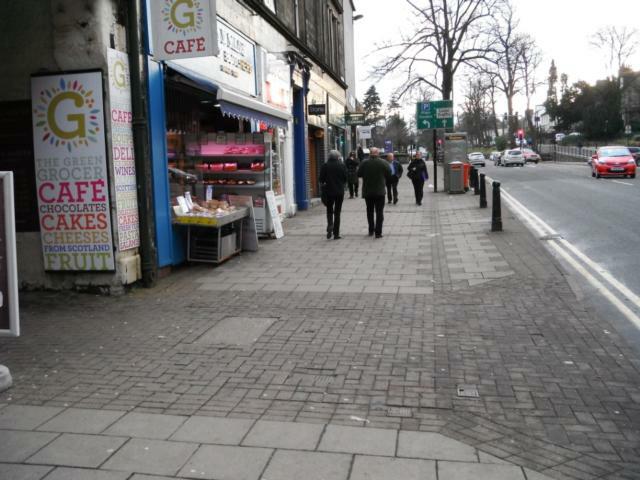 Wide pavement going towards Stirling city centre. 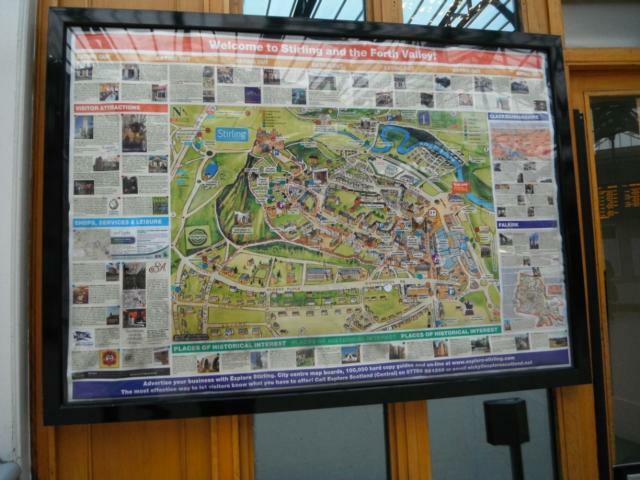 There is a fingerpost showing the direction to main locations as well as an panel with historical information about Stirling. 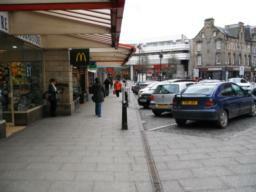 Shop fronts on this section provide shelter in bad weather. 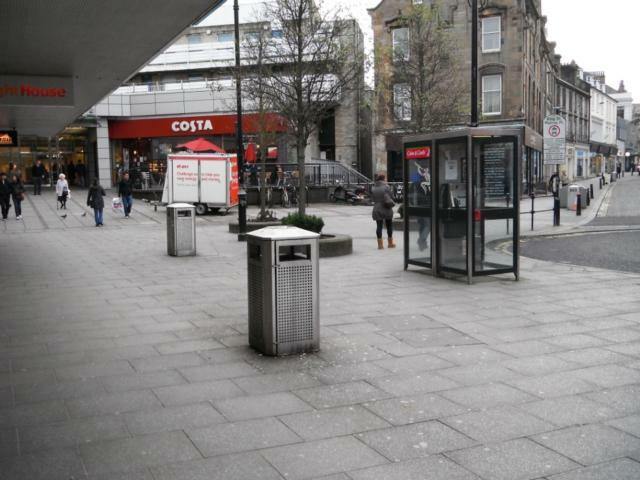 There are litter bins, public telephones, shops and a cafe in this area. There is a taxi rank on the left hand side of the road. 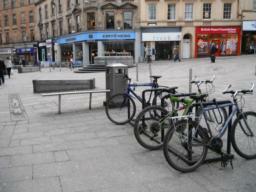 There is cycle parking available at a number of locations on route. 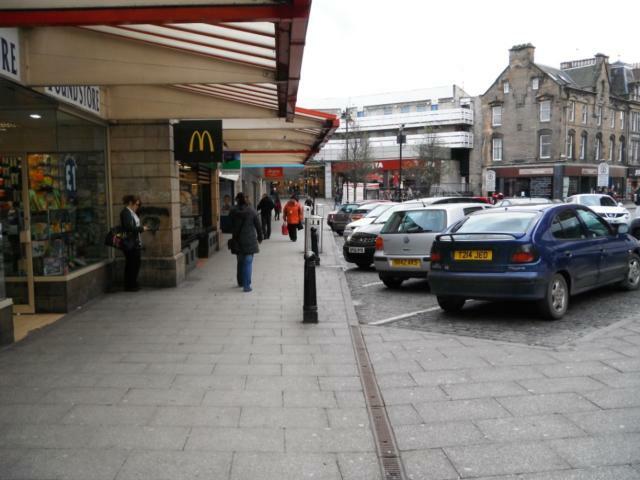 This is outside the entrance to the Thistles shopping centre. 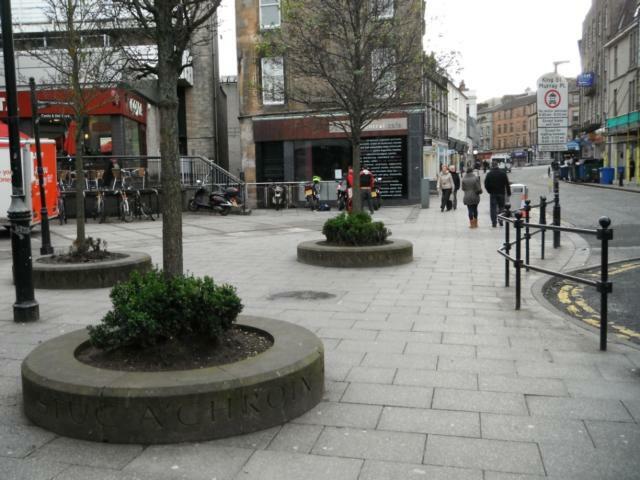 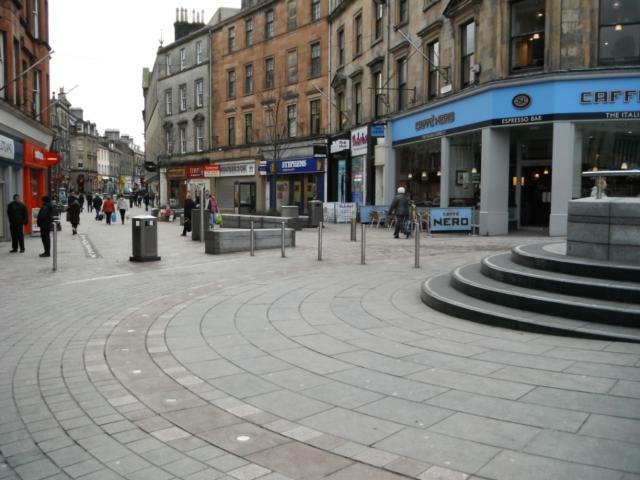 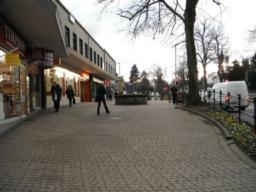 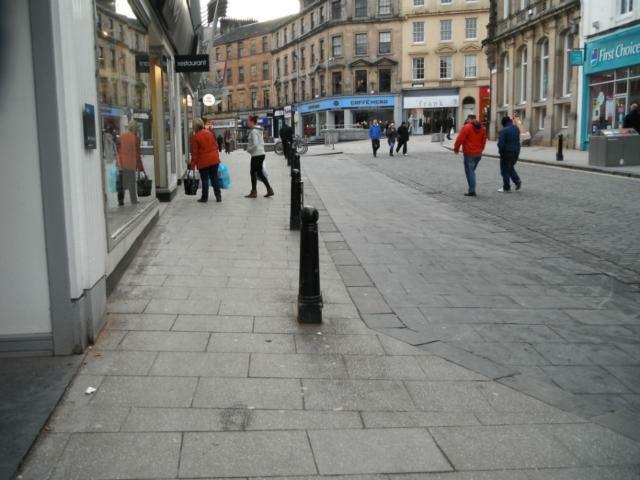 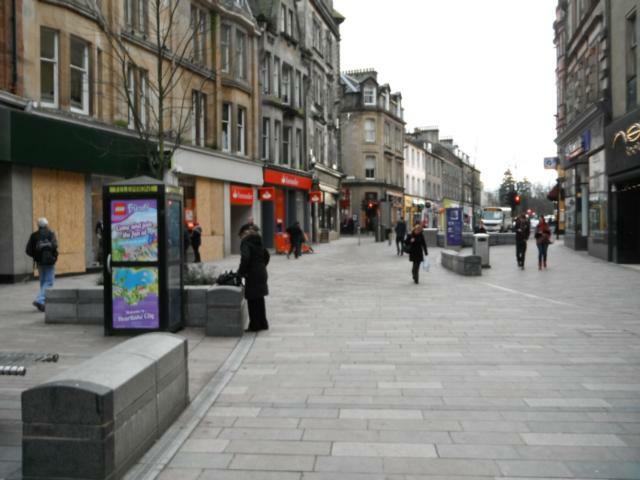 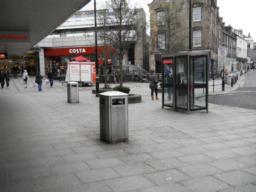 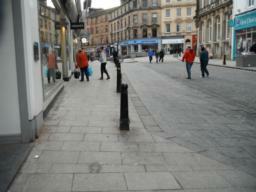 The pavement is wide and flat up to the pedestrianised area. 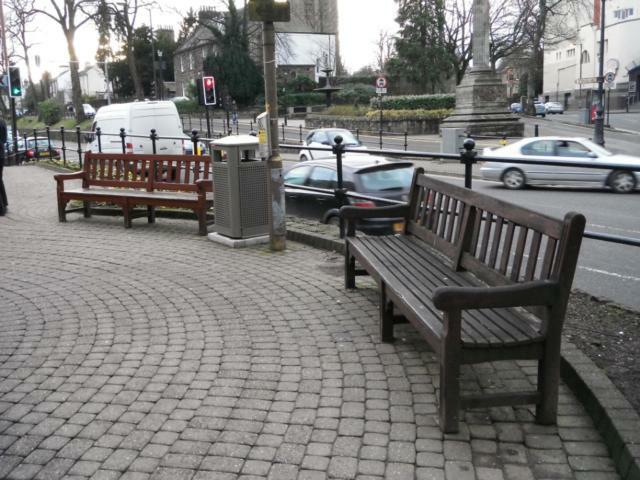 Cycle parking, litter bin and seating at the start of the pedestrianised area. 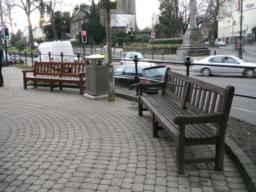 There are many seats in the pedestrianised area. 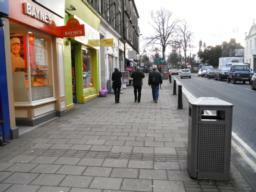 It also offers high street shops, banks and ATMs as well as food outlets. There are many seats in the pedestrianised area. 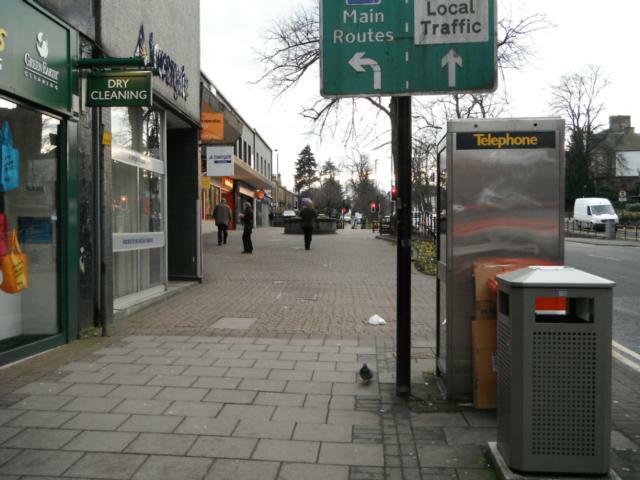 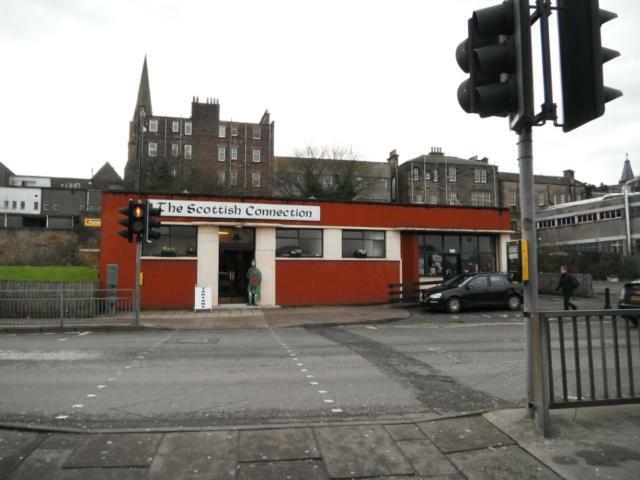 It also offers high street shops, banks and ATMs as well as food outlets and a public telephone. 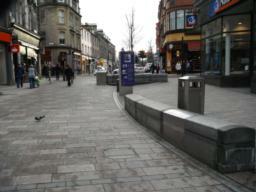 There are many seats in the pedestrianised area. 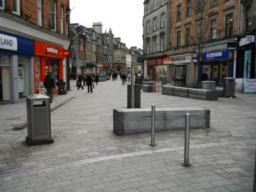 It also offers high street shops, banks and ATMs as well as food outlets. 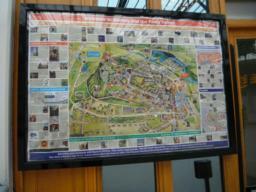 There is also a panel giving historical information on the area. There is a controlled pedestrian crossing with dropped kerbs and tactile paving at the end of the pedestrianised area. 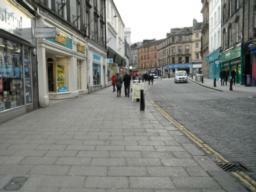 There is a wide pavement. 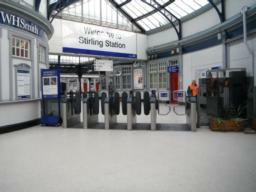 There is a more open area with seating and an information panel about Stirling. There is also an ATM. 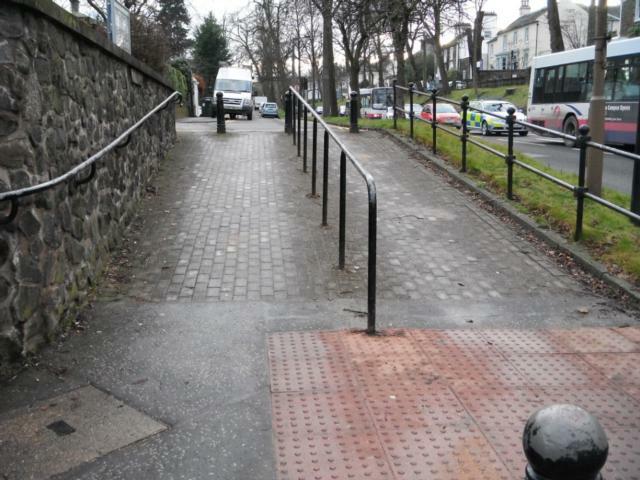 There is a ramp down to the controlled pedestrian crossing with a handrail. 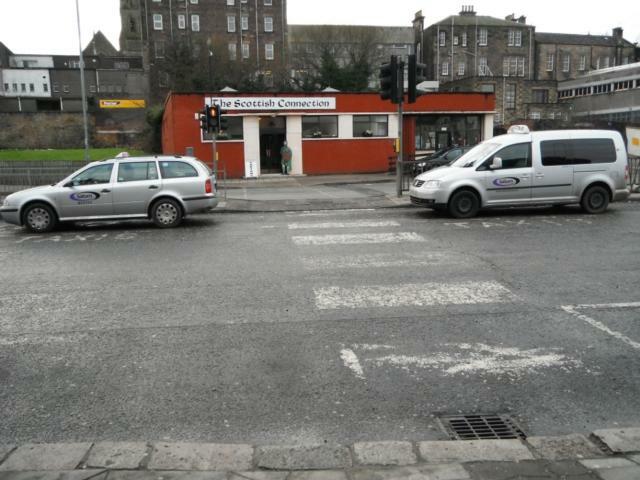 There is a controlled pedestrian crossing. 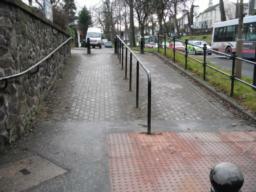 There is tactile paving and dropped kerbs. On the other side of the crossing there is a dropped kerb, tactile paving and handrails. 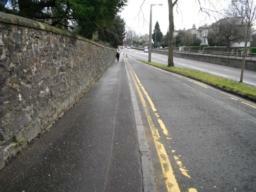 The gradient increases for a short distance. 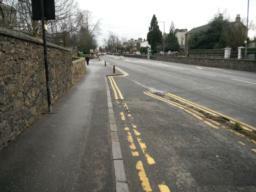 The pavement joins the road. 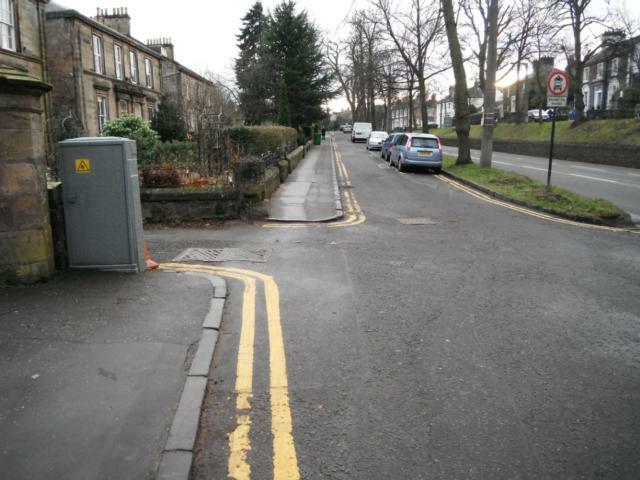 The pavement is not flush with the road. 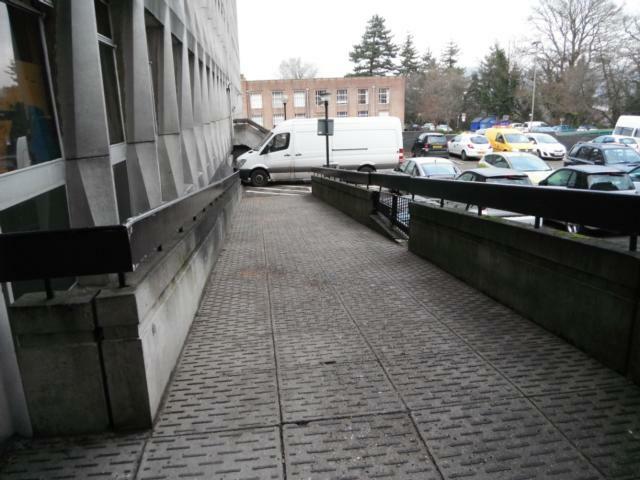 There is a driveway entrance that breaks the pavement. 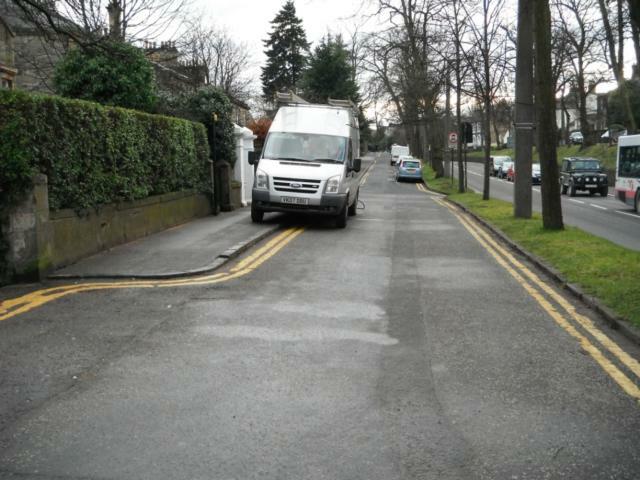 The kerbs are not flush with road. 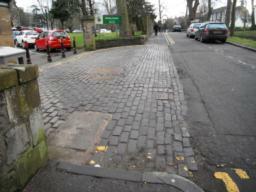 There are cobbles at the pedestrian side entrance to the Council where it joins the route. 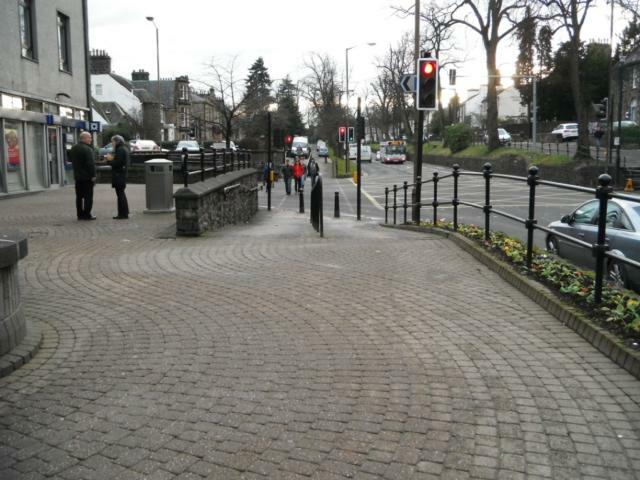 There are dropped kerbs and tactile paving at the junction to the Council entrance. The bus stop, if travelling from the city centre, is just beyond the junction. There are dropped kerbs at this crossing point. 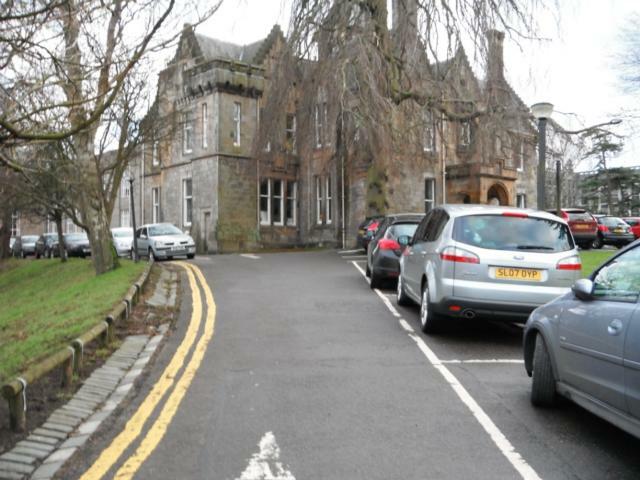 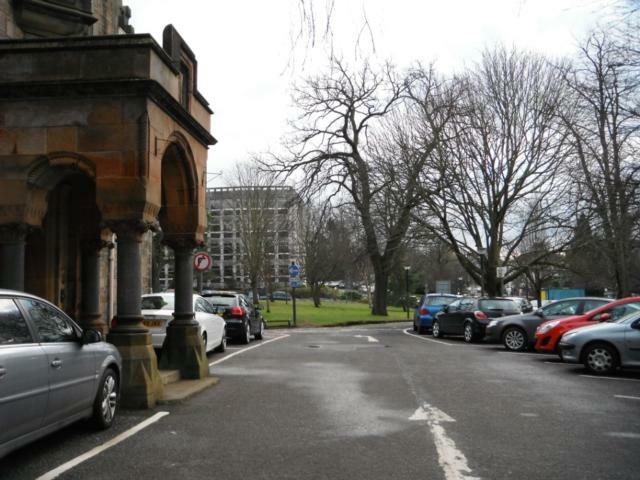 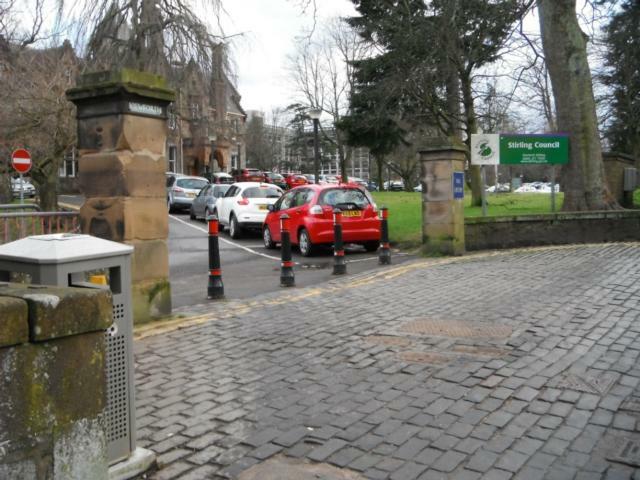 Visitor car parking with disable parking bays ahead at the entrance to the Council. 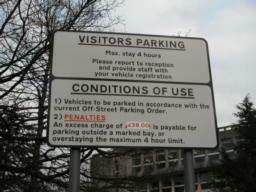 Speak to reception on arrival to organise a parking permit. 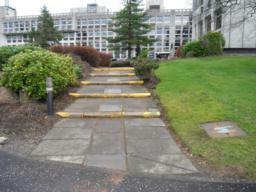 There are steps leading to the main entrance. 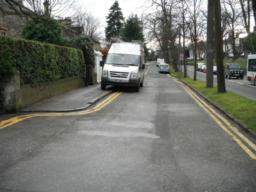 These can be avoided by using the ramped access to the rear of the building (photos 67 and 68). 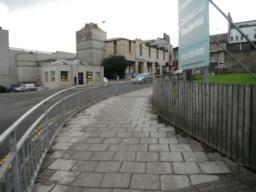 There is a flight of steps at the entrance. 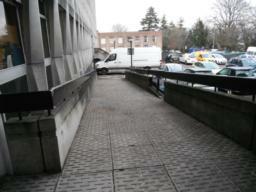 These can be avoided by using the ramped access to the rear of the building (photos 67 and 68). 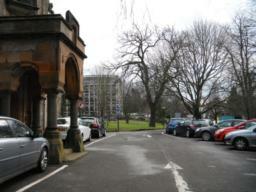 There is visitor and disabled parking at the main entrance. 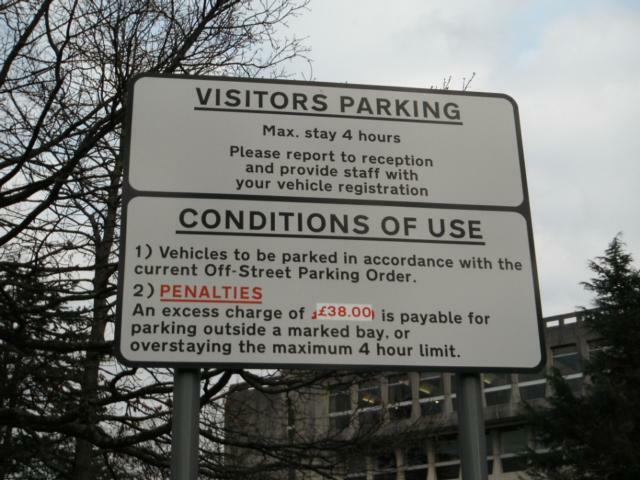 Speak to reception on arrival to organise a parking permit. 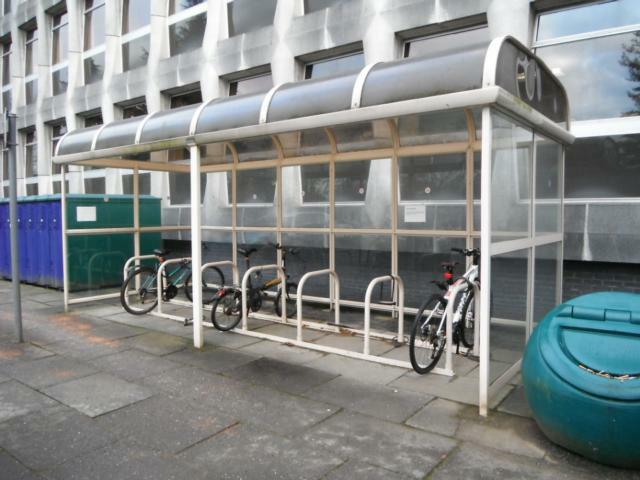 Bike shelter at the main entrance. 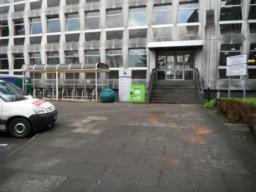 Ramped access to rear of New Viewforth. Buzzer to gain access into New Viewforth at top of the ramped access.